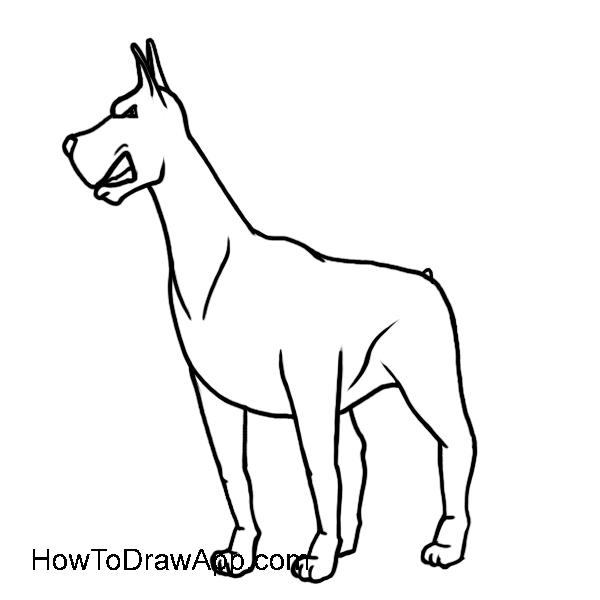 How to draw a Doberman Pinscher – easy drawing lesons for beginners. Draw a big oval to mark the contour of the dog’s body and a smaller oval for the head. 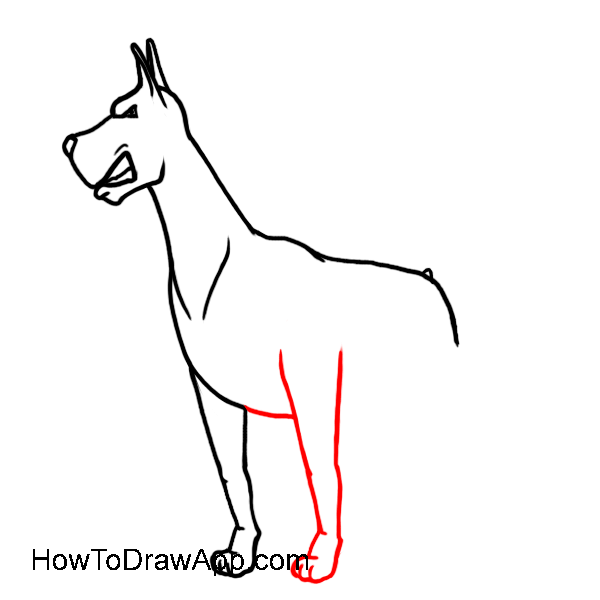 Draw the neck of the dog and lines for the legs. The muzzle of the dog is of a rectangular shape. Draw the line of the jaw bone, nose and ears. 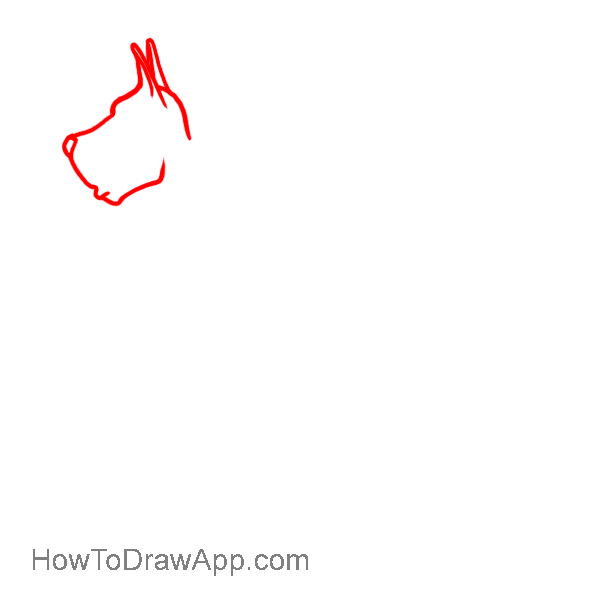 Draw eyes and a mouth of the dog. 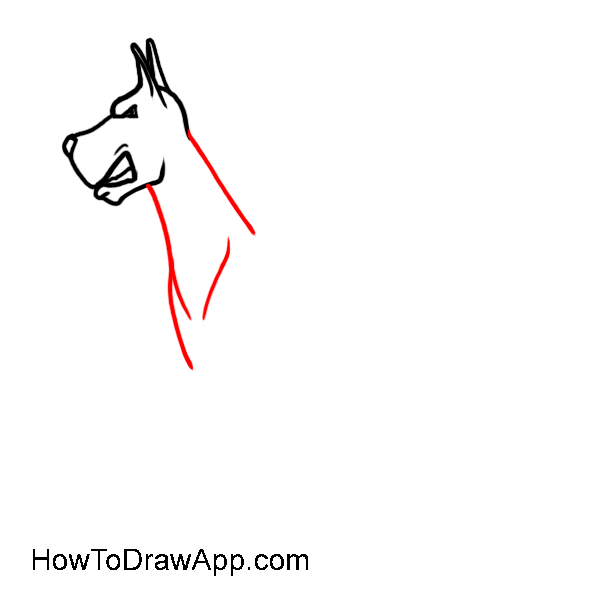 Draw the straight line for the neck and a convex line for the chest. Draw the first foreleg of the dog. 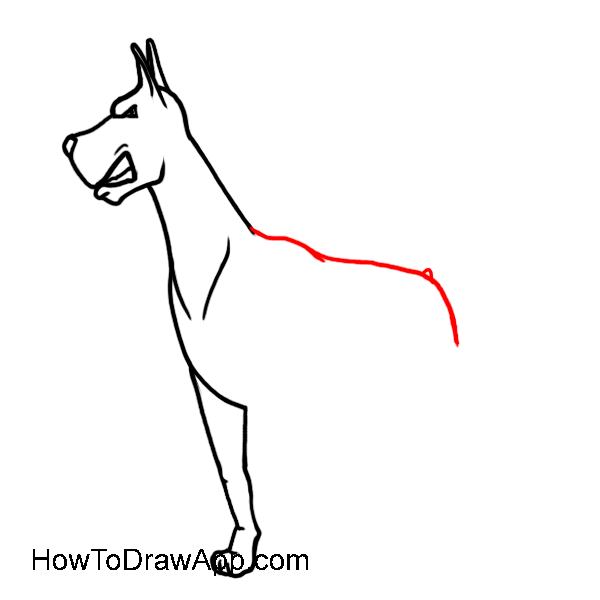 Draw the line of the back and a small circle for the tail. Draw the second foreleg of the dog. 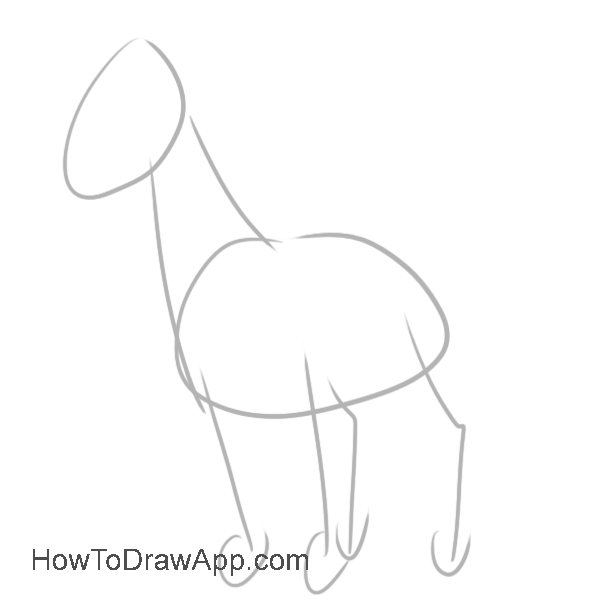 Draw the tummy and a line for the hind leg of the dog. Continue drawing legs and add some lines to mark muscles on the skin. Delete all auxiliary lines and the dog is ready. 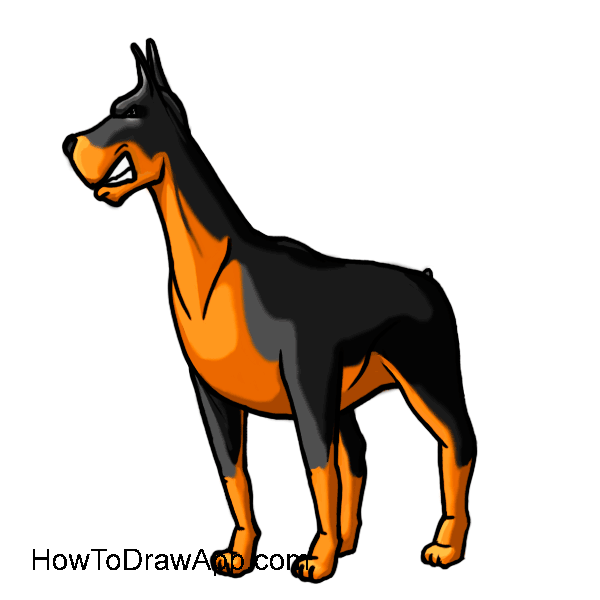 Paint the dog in brown and black. Add some light and shadow.